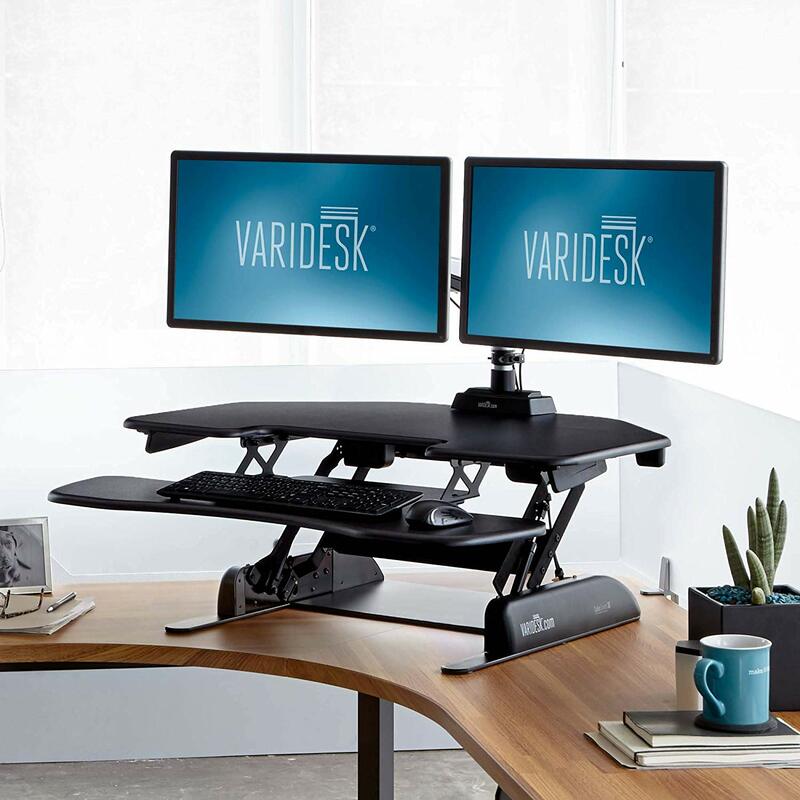 In this article, we’ll be going over all the Varidesk standing desk converters, and seeing if they’re at all worth its price tag. 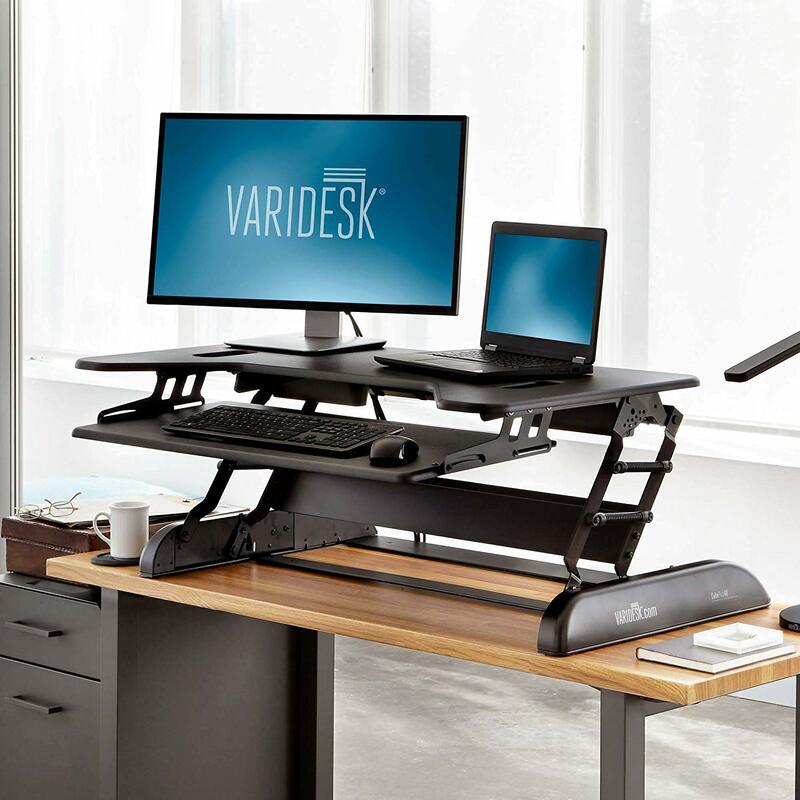 We’ve gone over numerous standing desks and they all function pretty much the same, giving you the same benefits, providing you the flexibility of changing from a sitting position to a standing position – so why is Varidesk so expensive? Rowing-lift raising mechanism with its up-and-back movement allows you to use the power from your lower half – leaving your back in a neutral state/healthy posture/straight and strong. 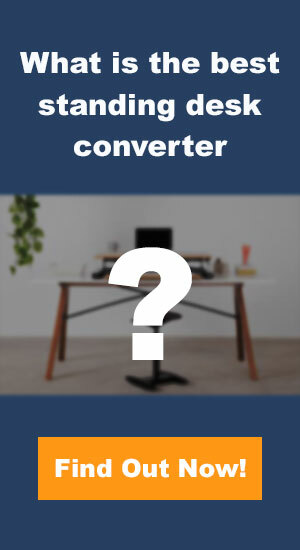 Here’s a guide on what type of sit-to-stand converters you’ll need based on your computer setup. 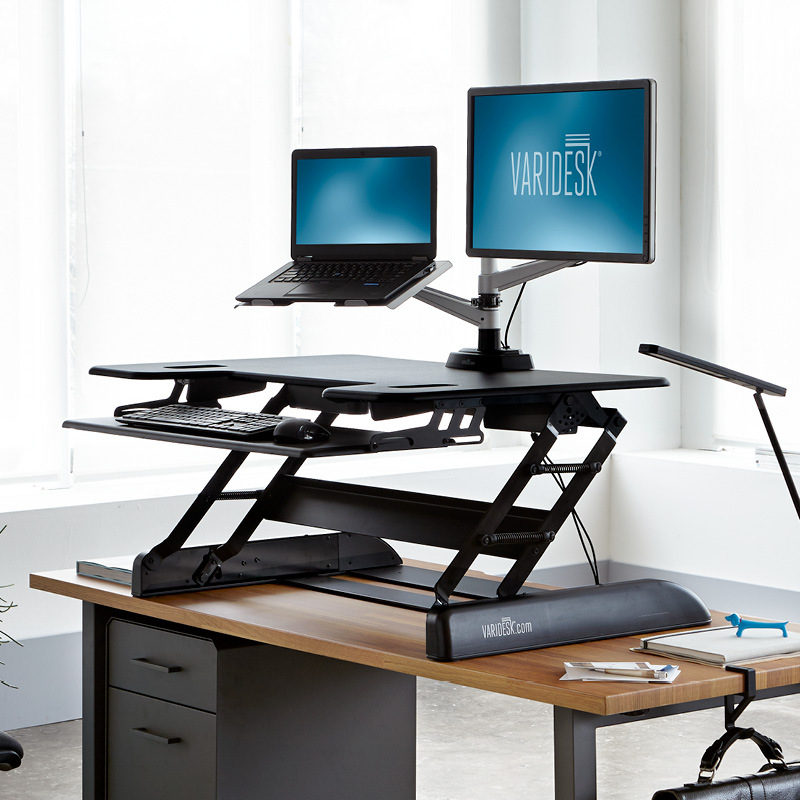 Whether it’s only a single laptop to multiple laptops, the Varidesk has a solution for it. 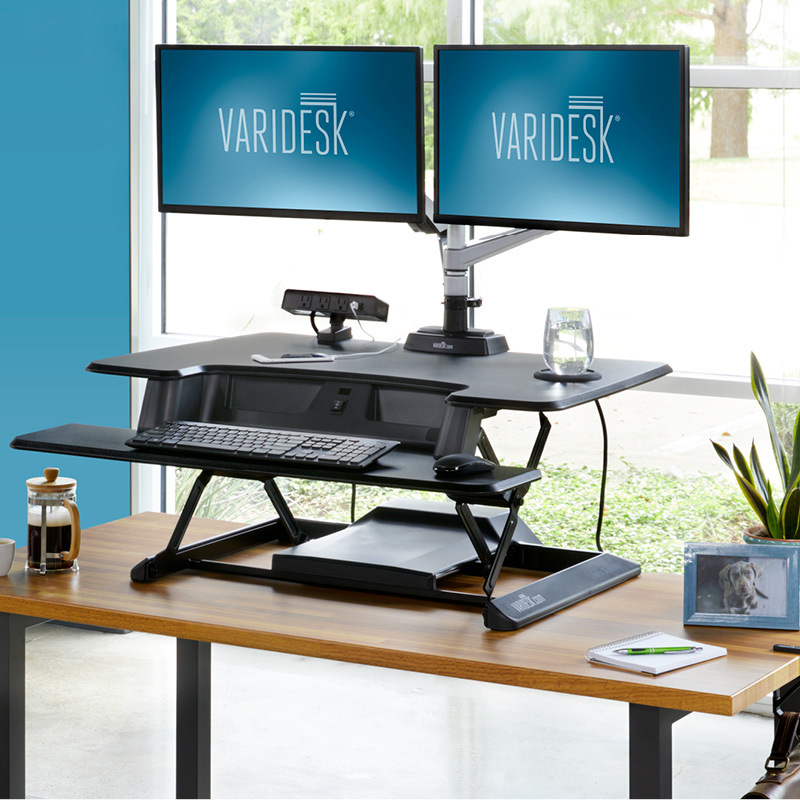 There’s a lot of similarities amongst the different standing desk converters Varidesk has to offer. However, there are some slight features that you may want to look into, whether you need an electric standing desk, or if you need one that requires one for a corner. 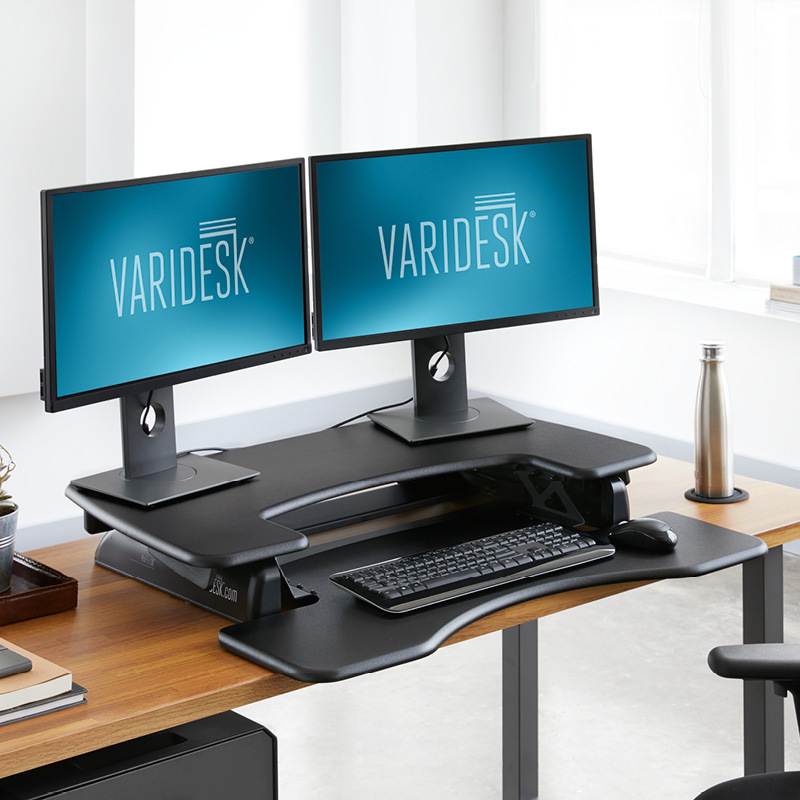 You may want to check out Varidesk alternatives and competitors if none of these options are right for you. 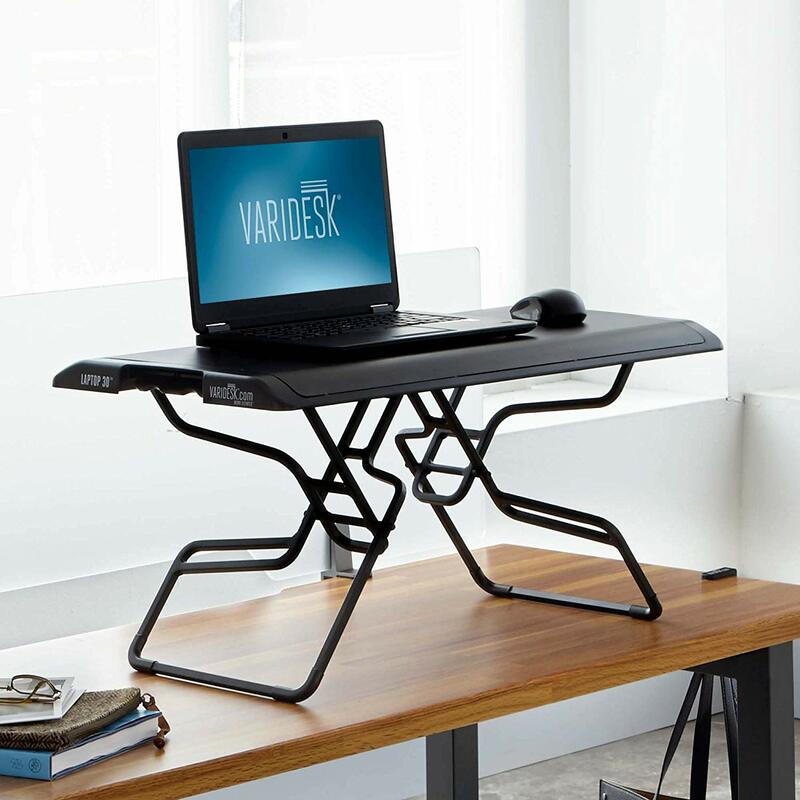 This list should help you get started on finding a Varidesk that’s right for your situation. Refer back to the buying guide to see if any of these desks can fit your computer set up.